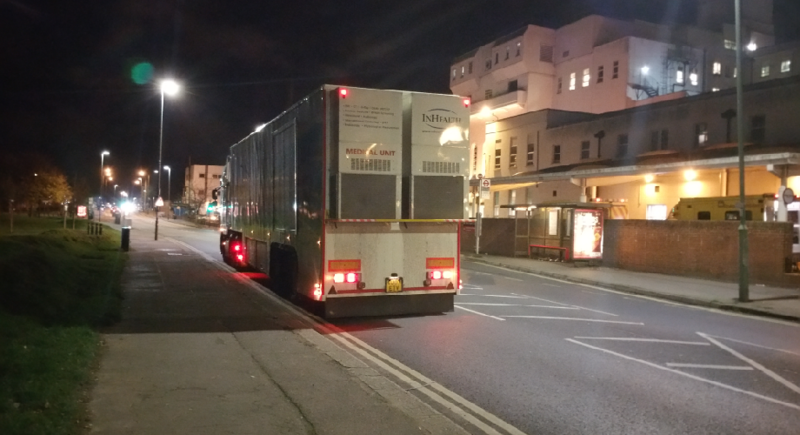 On Friday evening (04/12/2015) an unusual vehicle arrived outside St Helier Hospital - it was an articulated Lorry, with markings on it which suggested it was an "NHS" "CT Unit", but was also branded with the words "InHealth". 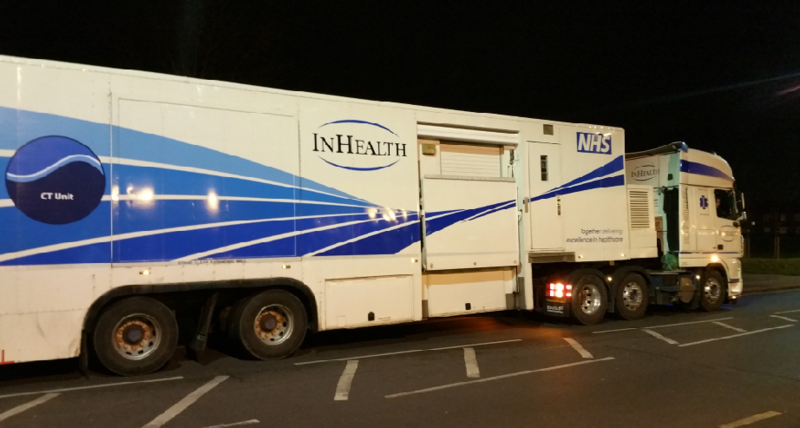 This vehicle almost certainly contains a mobile CT Scanner, and is being provided by a private provider called "InHealth" - You can read more from their website here if you wish. It would appear that the "NHS" logo on this vehicle is possibly there because the private company which has been employed in this case is one which "specialises" in providing equipment such as this to NHS and indeed private hospitals - and we can be sure that they are not doing so out of the goodness of their hearts. 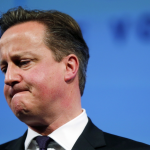 It is likely that they will be doing so because they hope that there is a profit to be made. We don't yet know (and of course, we will be asking the St Helier Trust) why St Helier needed to contract this private provider on this occasion, given that the hospital has it's very own CT Scanning Suite. At a guess, we assume that this was required because the in-house unit was out of action, or otherwise not available. We certainly hope that the unavailability of the in-house unit was not due to a lack of proper maintenance for example. Some further research on the background of private provider "InHealth" has shown that it is part of a group calling itself the "NHS Partners Network". 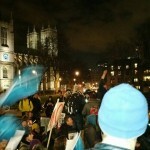 The NHS Partners Network was put together in 2005, in order to "Provide a voice for private health companies" and was at first made up of companies and organisations who were involved in the then Labour Government's "Independent Sector Treatment Centre Programme". Assura Group Ltd a property development company specialising in primary care. note the name "Assura" has appeared before in the fight to retain St Helier Hospital more than once - apparently *now* a different company, but historically had connections with "Assura Wandle LLP", now trading as "Virgin Care Wandle LLP", who run the urgent care department at Croydon University Hospital (interesting articles here and here), and was also the subject of a *very* interesting meeting with former Medical Director of BSBV, and then Chair of Merton CCG, Howard Freeman - article here. More recently, it appears that Assura Group are in line to build a new "Health Centre" in Sutton to house among others, the surgery of, Chair of Sutton Clinical Commissioning Group, and former Liberal Democrat Mayor, Dr Brendan Hudson article here. (Update 15/6/2017: this article seems to have been taken offline for some reason. Click here for our record of the article, or Google's WebCache here, and look at this link for the latest article). Clinicenta Ltd owned by Carillion. No longer trading. Mimosa Healthcare Holdings Ltd No longer trading. Prominent politicians of Conservative, Liberal Democrat and Labour parties have argued that the NHS is not being privatised, but when private providers are increasingly being used to provide your healthcare - even when they are hiding behind the NHS logo - this IS privatisation, and we at KOSHH say that every penny which is going to profits for private companies must be redirected to going to patient care.